Soi 102 is one of those streets you don’t find by accident. The entry off Petchakasem Road, near the new Bluport Hua Hin Resort Mall, is narrow and not very inviting. However once you enter, the road quickly widens and then the open ‘plains’ before the hills further east unfold. This area is only a few kilometres away from downtown Hua Hin, is a fast developing and very desirable residential location. This is where Milford Estate has chosen to make it’s mark on the Hua Hin property market, including the Milpool Villas, Hua Hin Laguna and The Pride Condotel. It’s no coincidence that the name ‘Milford’ also applies to The Eagle Milford Golf Course. 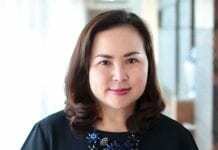 The ownership of both comes from Thai family origins with the property side managed by Milford Estate Development company owner Khun Vichit Vigrantanaros. The golf course is understood to be under lease to Korean management. Milpool Villas Stage 1 has now been sold-out; however we understand there are some of these properties available for rent. About 80% of the sales have resulted in foreign possession. 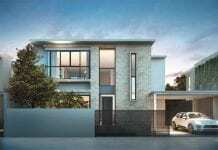 Stage 2 is now under construction with a completed show home open for inspection. Khun Srisuree Aiamphadung (khun Pla) welcomes visitors to the Sales Gallery which and has a ‘golf buggy’ to show you around the various properties. 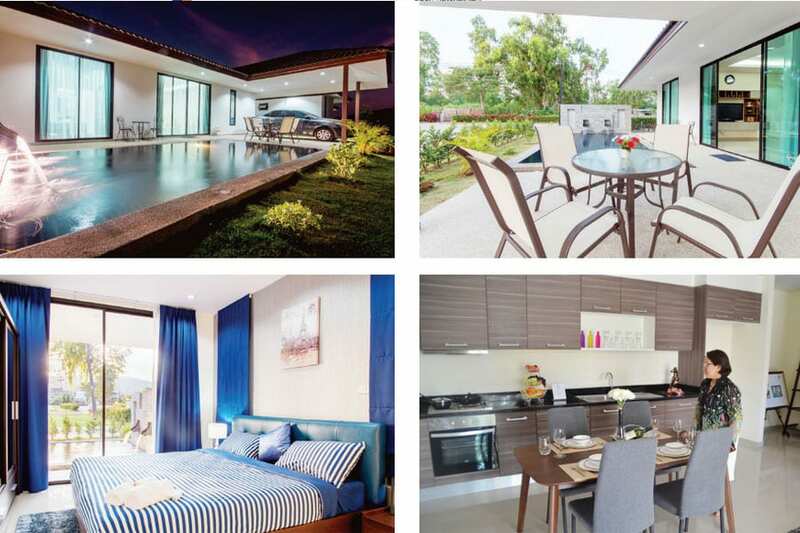 Milpool Pool Villas Hua Hin are just a few hundred metres further down the entry road on the left hand side. 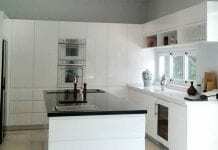 There are 54 ‘stand-alone’ villas being built with a standard plot size of 210 square metres. 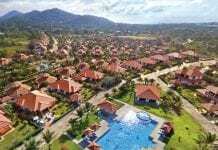 There’s a choice of either 2 bedroom (and 2 bathrooms) or 3 bedroom (and 3 bathrooms) villas in a contemporary style, with low maintenance and upkeep demands. Each villa is a single level home, not just one unit in a high rise complex. Each features a 6m X 3m metre pool alongside vehicle parking in front of the villa giving the inside living area a very pleasant outlook over this private forecourt. It’s easy to imagine a terrace barbecue with a few drinks and a cooling swim as the sun goes down. This style of living has already proven to be desirable as either a first or second home. For those of European origin who escape the cold winter months each year, there is peace of mind with security on site. Residents who often travel can just lock the gate, walk away and be confident in the knowledge that they can return anytime to their private retreat in Hua Hin. We’ve visited many property developments which suddenly appear as you are driving through undeveloped areas away from Hua Hin and the coast. It would be assumed that one day they will become a part of the metropolis, but in the meantime they are isolated enclaves; without convenient access to other facilities and with resident’s dependant on motorised transport to enjoy the sights and sounds of Hua Hin, including shopping, entertainment and the beach. There is an access road between Soi 102 to Soi 112 to give access to such facilities as Mahasamutr Country Club, Vana Nava Water Jungle, True Arena and Banyan Golf Course. No need to negotiate the Hua Hin city roads to get to any of these facilities or to travel further south. However if the attractions of downtown Hua Hin are calling then some can choose a quick bicycle ride of less than 2 kilometres. We have also seen many reports about the coming shortage of land for development in more convenient locations. Milford Estate presents as a development which offers such a location before convenience means expensive. Milpool Stage 2 is likely to be in high demand as the word spreads with on-site inspection demonstrating the conveniences of the Soi 102 location. Time may be running out to realistically obtain a private home without a very significant financial investment; maybe now or never.